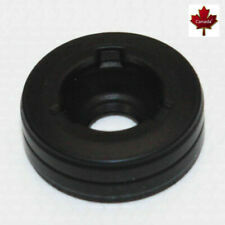 WPW10195677 W10195677 Diverter Seal Grommet Whirlpool KitchenAid and More! This is a Dishwasher Water Inlet Valve Assembly with bracket and solenoid. It has a 3/8" female pipe inlet. 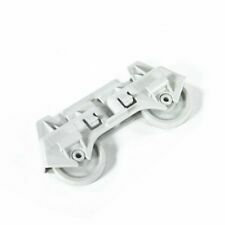 This fits specific General Electric manufactured Dishwasher Models. Product TypeInlet Valve. This item is USED and may show little signs of previous use or wear. 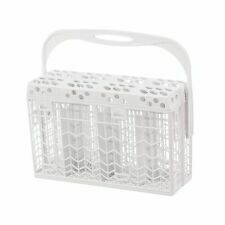 This new, genuine Whirlpool Dishwasher Silverware Basket WP8531233 is used on dishwashers manufactured by Whirlpool. If you are not sure if part is correct, ask us! We are always happy to help! We will research and verify for you. Broan Nutone S97017708 Bath Fan Vent Motor Asm. for 671RB 100600 71731998. ManufacturerBroan Nutone. Product TypeBath Fan Motor Assembly. Motor Specifications Motor is CW Rotation. Single Speed. 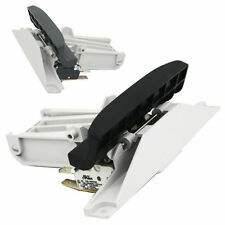 Designed to fit models: 671R, 671R-R01, 671R-R02. 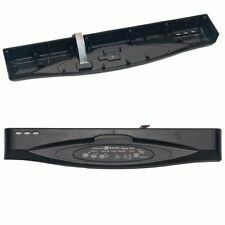 Designed to fit specific Whirlpool manufactured dishwasher models including Kitchenaid and Kenmore. Product TypeDrain Pump. ManufacturerJason Industrial. 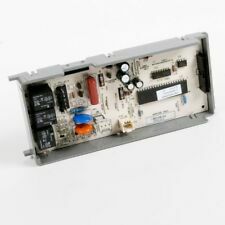 ERP Dishwasher Motor and Pump Assembly. 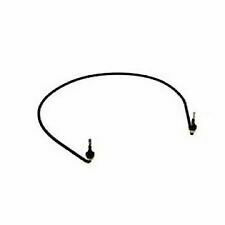 Part Number W10510667. 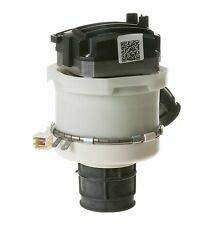 W10500286 is the Sump and Motor Assembly, this Motor and Pump is what is included with W10500286. Product TypeMotor and Pump Assembly. (MPN: 165314. Item included: 4 x set dishwasher lower roller. Suitable for: dishwasher. 4) Non original part. 2) Color may vary slightly due to the color setting of each individual monitor. Color: Grey. Product: Dishwasher Drain Hose. Our Promise. Part #: DD67-00059A. After receiving the item, within. Batteries & AC Adapters. WPW10195677 W10195677. This Diverter Shaft Seal gets installed from BELOW the Dishwasher Sump UNDERNEATH your dishwasher where the diverter motor is installed. Note: This gasket will only repair a leaky diverter motor shaft seal. This new, genuine Whirlpool Dishwasher Silverware Basket WP8562081 is used on dishwashers manufactured by Whirlpool. Replaces 8562081. If you are not sure if part is correct, ask us! We are always happy to help! Slightly to the actual item you are receiving. 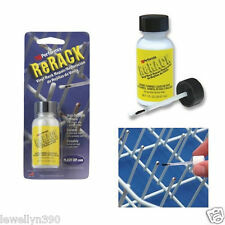 Each item is fully tested & cleaned by Certified Technician. This item is USED and may show little signs of previous use or wear. Trending at C $66.71eBay determines this price through a machine-learned model of the product's sale prices within the last 90 days. Simply push on. No glue or adhesive required. Install in seconds. Dishwasher Rack looks ALMOST New Again in Minutes and it was so easy. Simple push and its done! Push on in seconds without any glue or adhesive. Type: Dishwasher Basket Adjuster. 1 Dishwasher Basket Adjuster Set. If your dishwasher is leaking underneath, you may have a leak in the Diverter Motor Shaft Seal. Note: This gasket will only repair a leaky diverter motor shaft seal. MPN: 8269145. 1x Dishwasher mounting bracket. Usage:Dishwasher Mounting Brackets. Structure: Single-side Bracket. Detail Image. Door switches and holder assembly. No tracking is possible with "Small Packets - International - Air/Ground Mail." Terms and Conditions. Just ask us! We respond to all messages within 24 hrs.